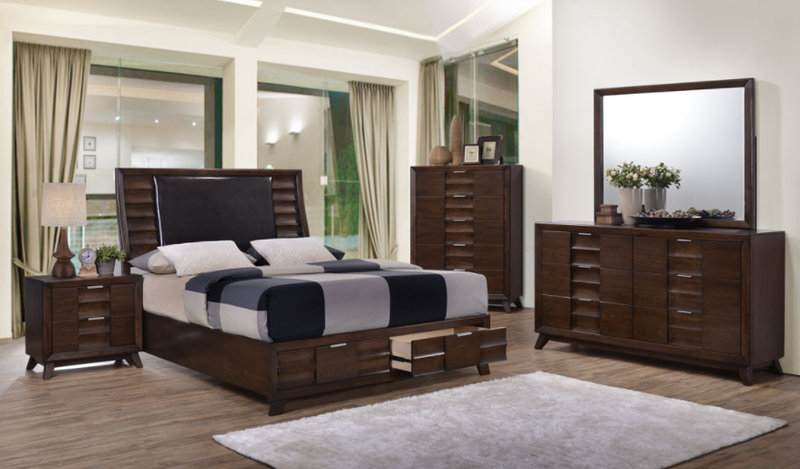 Christina Bedroom Set includes: Queen Bed, Night Stand, Dresser, Mirror, Chest. The bed is also available in King size for extra $200.00. 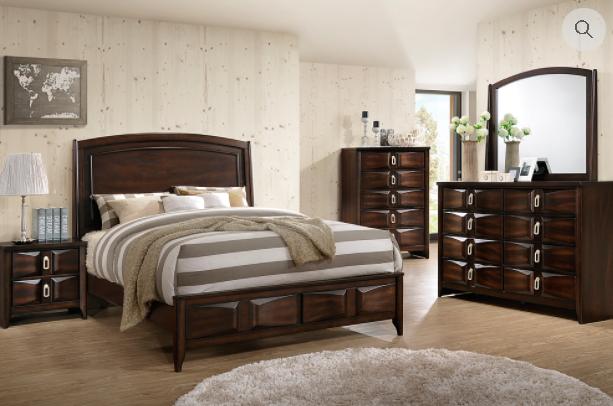 Create a fresh and inviting look in your bedroom with the Christina Collection. 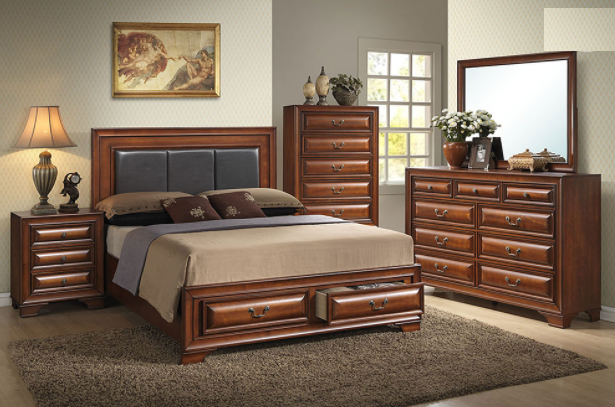 This set features raised panel fronts, felt-lined top drawers for your valuables and antique brass nobs. 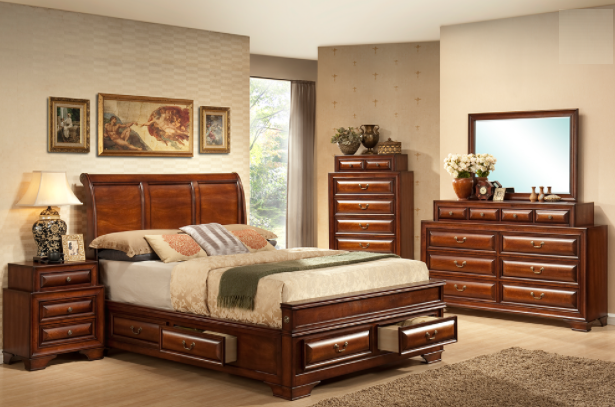 Conveniently store away linens and clothing in the 2 footboard drawers. 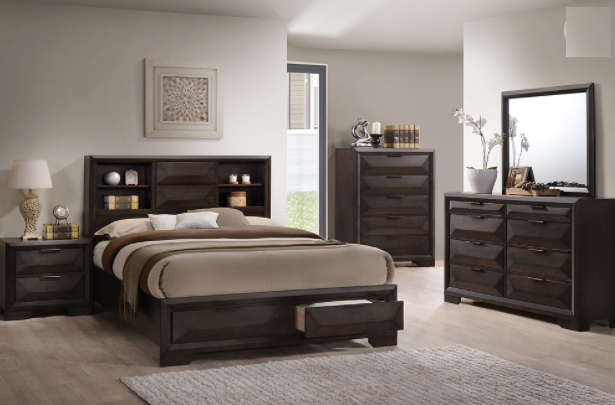 Comes in a warm walnut color with a distressed finish.